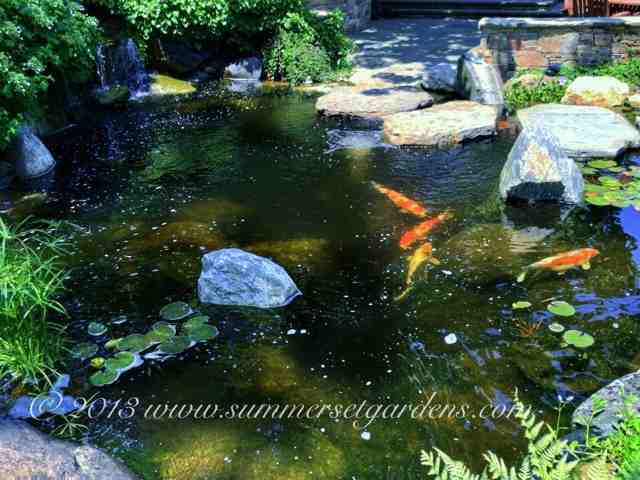 A deep koi pond project in NY with a waterfall, floating bridge and lush plantings. These large koi are at home in this man made environment. Koi are very beautiful fish and can live for many years. Landscape Architectural Design and Construction Services in the NY and NJ areas.